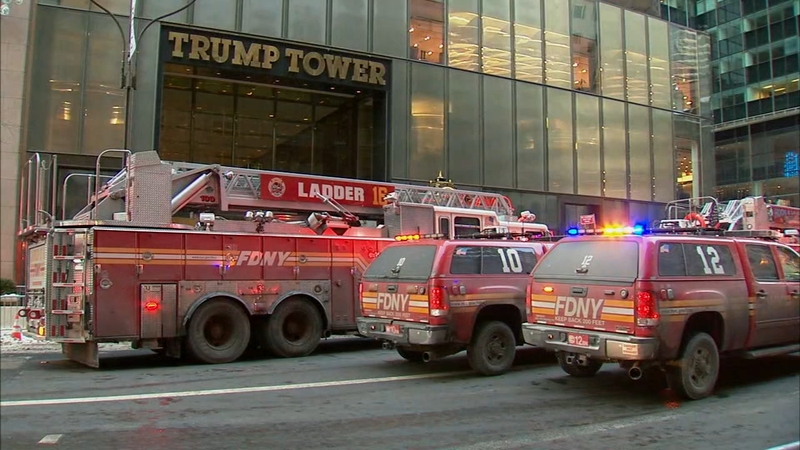 MIDTOWN, Manhattan -- Firefighters responded to the scene of a small fire in a heating and cooling unit on the roof of Trump Tower. Smoke could be seen coming from the Midtown building. A firefighter suffered a minor injury when debris fell on him. An engineer also suffered some minor smoke inhalation, but refused medical attention. As of 8:30 a.m. Monday, there was still a heavy presence of emergency vehicles closing off the street in front of the building on Fifth Avenue.